As mentioned in my last post, this continues a discussion of top talent ‘behind the curtain’ which brings to life the vivid imagery living in our memories of movies we love, particularly during Hollywood’s Golden Age. As was also highlighted, each type will fall under the letter ‘C’ and the first were the cinematographers. Well, as stated in that post, this next group is absolutely essential in our appreciation of what is seen onscreen, making a great movie unforgettable. Just who would this be? Welcome to the world of our next ‘C’: The music composer. And who can recall the Sergio Leone classic “The Good, The Bad and the Ugly” (Clint Eastwood, pictured above) without also recalling the hauntingly plaintive whistling and harmonica theme created by Ennio Morricone that opens and punctuates the film? When you think about it, quite a few of our movie memories are hard-wired into a musical theme or score that gave added life to what we saw on screen and made it truly unforgettable. That would certainly also apply to Hollywood’s Golden Age. Some of the greatest movies of that era are fondly remembered not just for what was seen onscreen, but also for the musical scores-scores, for example, that either evoked the necessary tension and menace a thriller demanded, or the sweep and grandeur a period piece called for to carry us successfully into another time. As examples of both, we need look no further than two giants of film composing during the Golden Age whose work has influenced countless others down to this day-Max Steiner and Bernard Herrmann. From the 1930s to the 1960s, Max Steiner was one of the most respected, innovative, and brilliant composers of American film music, and his resume’ reveals a truly amazing number of exceptional film scores for films of all types. 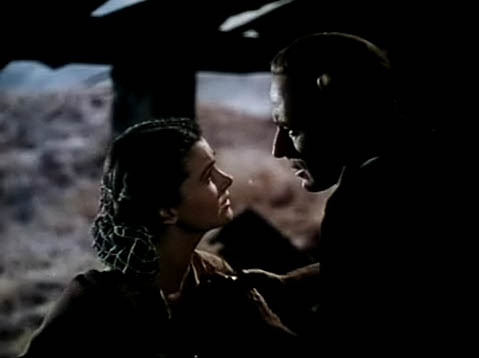 Nominated for an Academy Award eighteen times and a winner three times, one film score of his that has beyond doubt proved to be a lasting legacy is the one for “Gone With the Wind” (Vivien Leigh and Leslie Howard pictured above). One of the best and most-recognized film scores in motion-picture history, it instantly captures the epic scope of the film and the period it portrays. 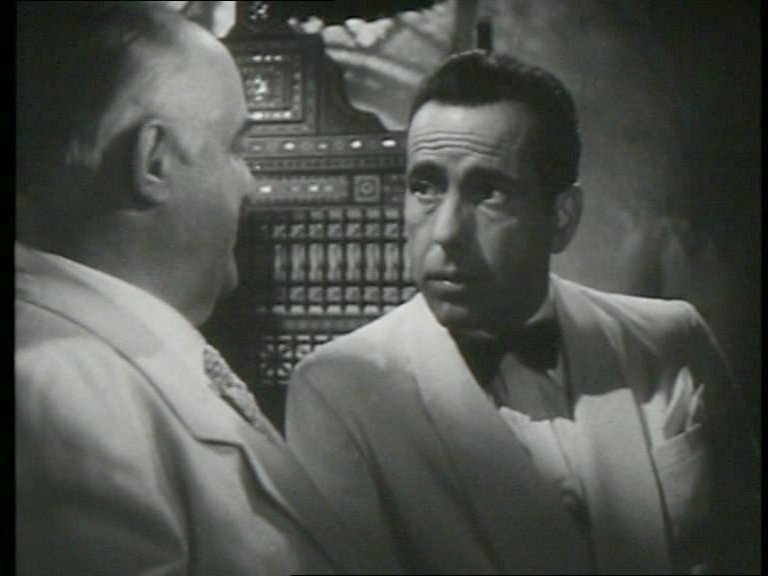 Along with his scores for “Casablanca” (Humphrey Bogart and Sydney Greenstreet pictured above), “King Kong”, as well as many others, we can’t truly begin to appreciate movies of that period without also appreciating what his work as a composer provided to make that period of moviemaking so special. Then there’s Bernard Herrmann. One of the most original and distinctive composers to ever work in film, he wrote nine scores for Alfred Hitchcock, and one of the most well-known ever made is the one he did for “Psycho”-the iconic shrieking violins used as a theme not only created the necessary nerve-jangling atmosphere, but it also showed how music and imagery combined in the right way (shower scene!) can have an unquestionable visual and visceral impact on an audience. Another one of the best film scores in Hollywood history and influential down to this day. 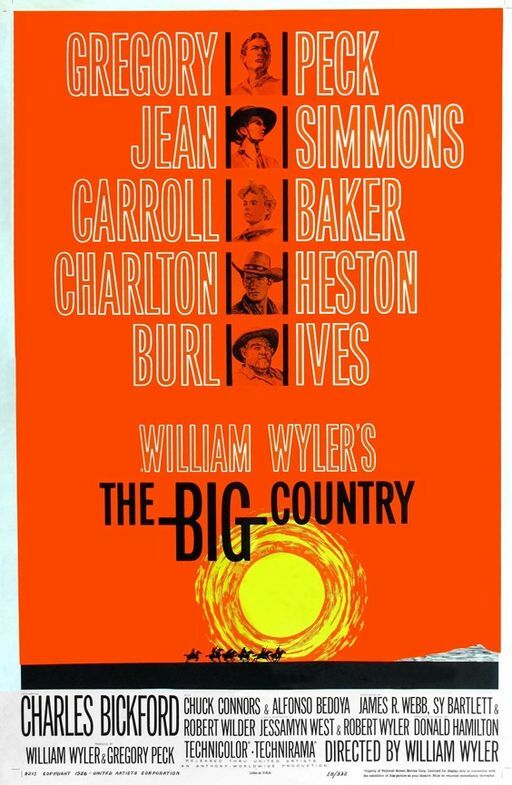 (1) Jerome Moross-Not a well-known name among the general public and even among quite a few classic film fans, mainly because he didn’t have the output of other film composers, but one of his scores has reached legendary status-“The Big Country” from 1958 (Poster pictured above). The opening theme music set to shots both distant and in close-up of a lone stagecoach thundering across open Western terrain as the credits roll, all in Technicolor and widescreen glory, is a true feast for the eye and ear, a galvanizing display of the power of music to energize an already powerful moving image. A true classic, and not only the best Western score ever made (The great score for “The Magnificent Seven” by Elmer Bernstein is a close or distant second, depending on how you look at it), but one of the best scores ever for a motion picture and a prime example of music’s immense contribution to the art of moviemaking. (2) Muir Mathieson- Once again not a household name, especially not in this country, but in England Muir Mathieson was the preeminent musical presence when it came to British cinema. Probably the most prolific conductor in British films, he conducted the orchestra for practically every classic British film from 1934 until the late 1950’s. 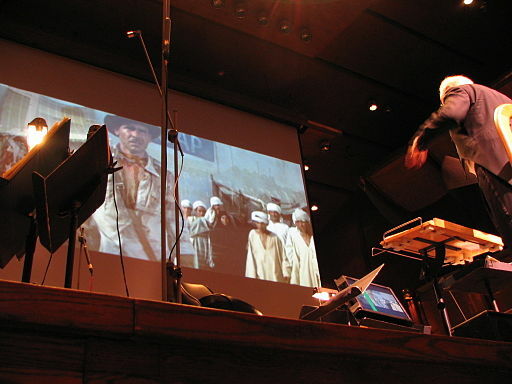 Almost always described as a “Musical Director” as opposed to composer, overall he is said to have conducted the music for over a thousand British films. 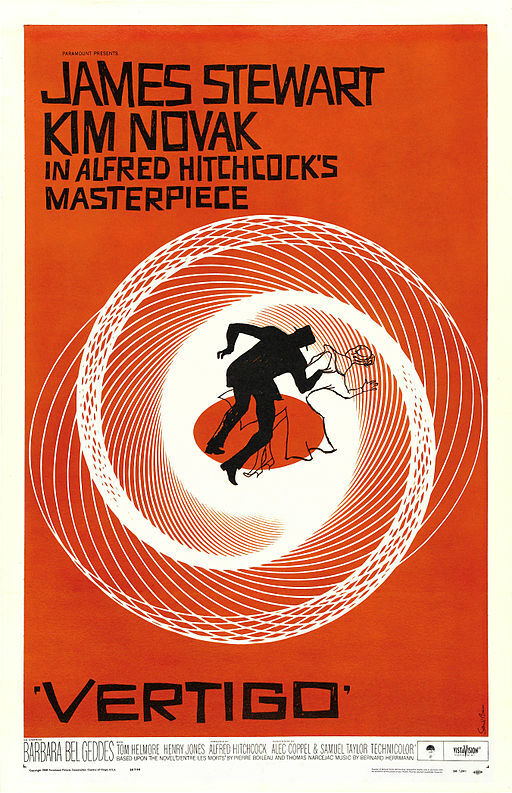 As an example, in 1958 he conducted Bernard Herrmann’s score for Vertigo (Poster pictured above), and in that same year he is credited with musical directorship of 28 films. From the Oscar-winning “Hamlet” from 1948 starring Laurence Olivier, David Lean’s “Brief Encounter” and “Oliver Twist”, all the way to 1958’s Titanic saga “A Night to Remember” and beyond, Mathieson’s musical imprint can constantly be found, making these classics that much more memorable. Hopefully these examples provide some idea of the breadth and scope of talent in this area that has richly enhanced what is seen on the silver screen, without which cinema, though a visual medium, would certainly be the poorer. Our last ‘C’ will cover an area that some would not consider essential but others may feel ‘makes’ the movie, especially during the Golden Era. What ‘C’ could that be? We’ll talk when we see you again soon. This entry was posted in classic movies, Uncategorized and tagged 1940's cinema, 1950's cinema, bernard herrmann, british films, classic cinema, elmer bernstein, ennio morricone, john williams, max steiner, movie composers, movies from the 1960's, muir mathieson, old movies, the big country. Bookmark the permalink.